Great videos this week with the revelation of the new Assassin's Creed game for 2014, followed by a Wolfenstein reboot taking place in the 1960's with Nazi Germany a victorious superpower. Third video is from GDC showcasing the latest Snopdrop engine in the new Tom Clancy franchise, The Division. I cap it off with promising VR hardware in the version 2 of the Oculus Rift dev kit which now rocks 1080p. [youtube_sc url="https://www.youtube.com/watch?v=SQng7EkJHOI"] It started off as a leak and a rumour but it's finally here and confirmed. 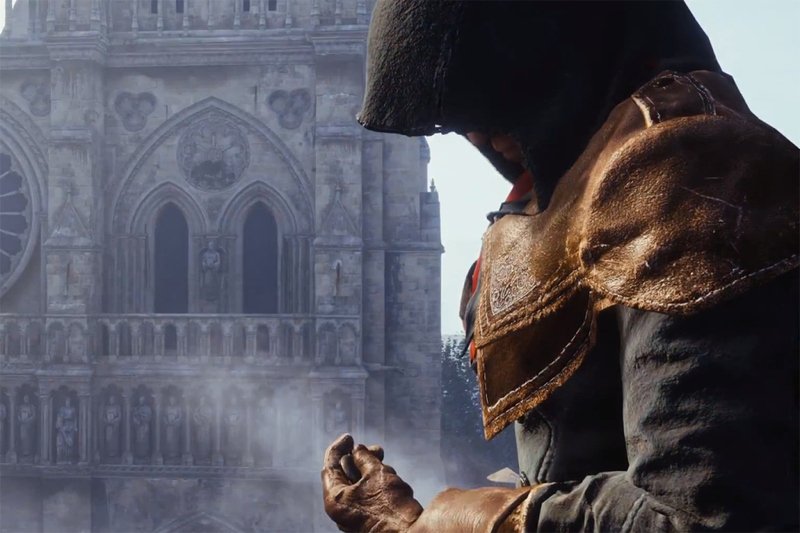 The next AC will be during the French Revolution and will be rocking what looks to be a new engine with extremely detailed environments. While I feel like Ubisoft is really the franchise by annualising it like the Call of Duty or EA Sports games, AC will always be special to me with its esoteric histories woven in with some crazy science fiction and conspiracy theories. [youtube_sc url="https://www.youtube.com/watch?v=geJoJjOAVfE"] Graphically, can't say I'm too impressed but we'll have to wait and see I guess. Check out this early scene from Wolfenstein: The New Order. In this video, BJ Blazkowicz has an unexpected run in with one of Wolfenstein's most cunning villains, Frau Engel. [youtube_sc url="https://www.youtube.com/watch?v=dORoTIEOyEg"] A popular video from this year's GDC, this shows you the power of the Snowdrop engine; Massive Entertainmen's in-house answer to video game creation on the new generation of consoles. [youtube_sc url="https://www.youtube.com/watch?v=OlXrjTh7vHc"] I always enjoy videos of the Oculus Rift and have been posting quite a few over the last year and I'm glad to see significant progress for 2014. We're getting closer to a consumer version soon! The Oculus Rift Development Kit 2 is the latest dev kit for the Oculus Rift with a low-persistence OLED display and low-latency positional head tracking running at 1080p.